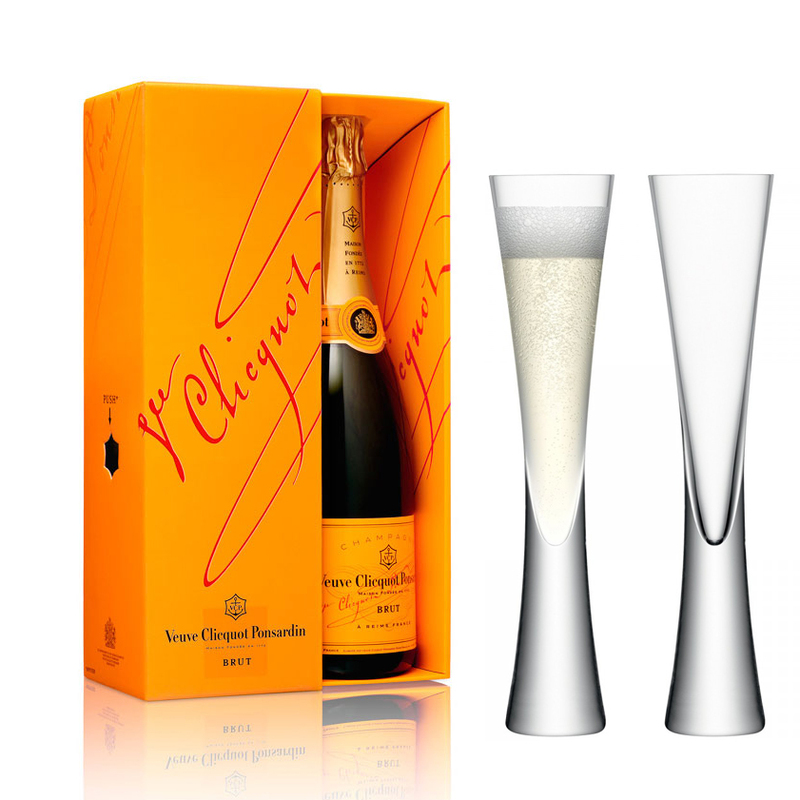 Veuve Clicquot Brut Champagne Gift Box 75cl & 2 LSA Moya Champagne Flutes. All glassware by LSA is handmade mouth blown glass, with world renowned glassware collections. 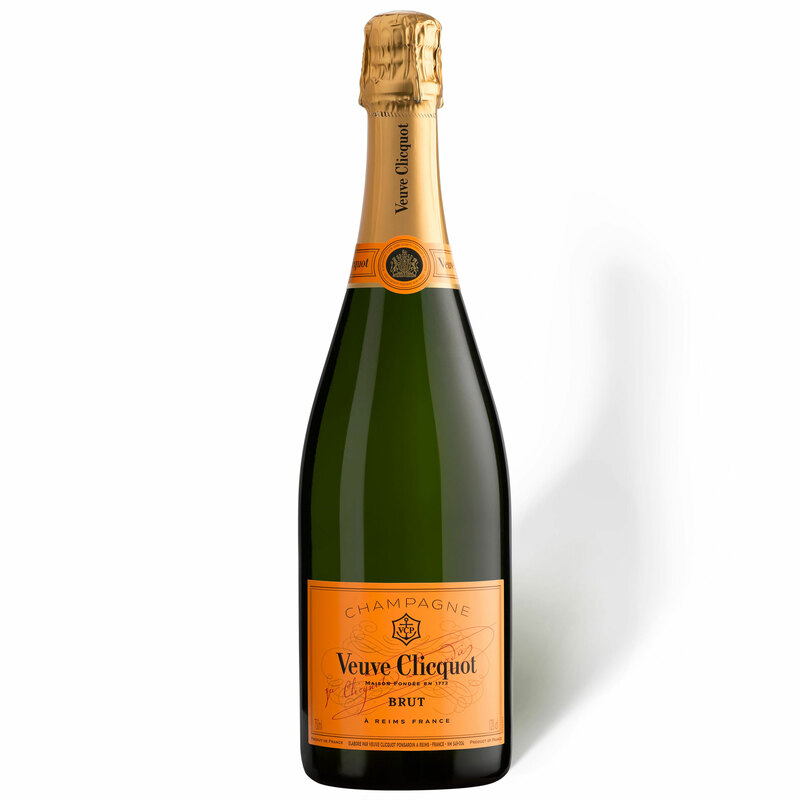 Veuve Clicquot Yellow label Brut 75cl is a classically-styled Champagne, dry, balanced and elegant.